Mr. Loadlink invites guest blogger Mike Duncan, managing director of the Gaylin Group of companies, to talk about management, relocation, becoming a thought leader, and more. Not long ago, if Mr. Loadlink, aka David Ayling, director of Straightpoint, had asked me to blog in his place, I’d have asked him what he’d been drinking. “Blog in your place? I beg your pardon,” I might have replied. However, since late last year I have become more familiar with content and inbound marketing strategy, to the point that I now understand why David invests so much of his time addressing target audiences through his monthly posts. That’s not to say I wasn’t always a reader—I was—but it’s only upon communicating more readily with trade media through case studies and other articles myself over recent months that I’ve realised just how much traction there is to be gained by sharing stories. It also represents natural progression for someone, in myself, who has always believed in the power of effective, honest, communication. Yes, David (like me) wants to give back to the industry but it’s only recently become apparent to me how rich the returns are. I don’t mean in a crude sense related to revenue, but also in terms of engagement, interaction and positive interest. I know it has taken Mr. Loadlink time to achieve this status but I can see the potential in the early stages of our own content outreach campaigns. I hope this blog continues to build that momentum. For background, I have worked in the lifting equipment industry since 1989; I am a long-time distributor of Straightpoint’s range of force measurement, load monitoring and suspended weighing load cell equipment; and I oversee 10 facilities across the world, including Rigmarine (part of the Gaylin Group) locations. I’ve long seen myself as something of a mentor in the industry, not just from a product and technical standpoint, but related to management. I’m fascinated by the science of managing people. Most of my middle and senior managers have come up through the ranks after starting with hands-on, practical roles. It’s been a steep learning curve for all of us, but it’s taught me a huge amount about getting the most out of individuals and their varying skill sets. Everyone brings something different to the party and the trick is positioning people where they can play to their strengths. I often refer to it as human chess—a great game of tactics, strategy, patience and practice. Accordingly, I hope to take this opportunity to share three pieces of guidance that might serve you well in the lifting gear industry and others—managing a supply chain, embracing relocation and expanding a global operation. Treat suppliers as importantly as one would a top customer. As a distributor of equipment, the reputation of the Gaylin Group hinges on the quality of products we supply. It’s an overused cliché that the customer is always right and many business leaders claim to get out of bed in the morning only thinking about their clients. While they’re important—obviously—we place equal emphasis on our key suppliers. Whether it be load cells from Straightpoint, spreader beams from Modulift, or a rigging item from another world-class manufacturer, we choose suppliers carefully and build long-term relationships with them to ensure our customers are getting the best possible technologies and solutions, aligned with our own expertise. Most of our suppliers are very innovative so understanding new products and solutions as they’re put to market is also vitally important. We have a hand in driving that innovation too by providing constant feedback from the frontline. 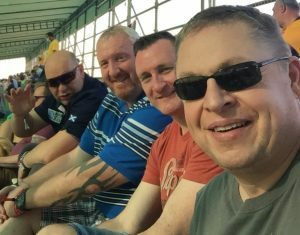 Sadly, I’ve seen such relationships and loyalty diminish in the lifting industry in recent years, further highlighting the importance of good partnerships. An old saying where I’m from calls it ‘buttering one’s bread on both sides’; in other words, wanting to maximise profits by supporting contradictory interests and abandoning certain principles in a quest for a quick buck. It’s shortsighted, narrow-minded and everyone loses—manufacturers, distributors and end users. Mr. Loadlink (I call him Dave over dinner!) and I have a trusting relationship based on both parties committing in equal measure. After collaborating for over a decade, it’s clear we’re doing something right. It’s not rocket science that supply chains break down when there are weak links. Just as is the case when a rigging team is utilising a chain sling beneath the hook of a crane, the lift is only as safe as its weakest link. When it breaks, the consequences can be severe. 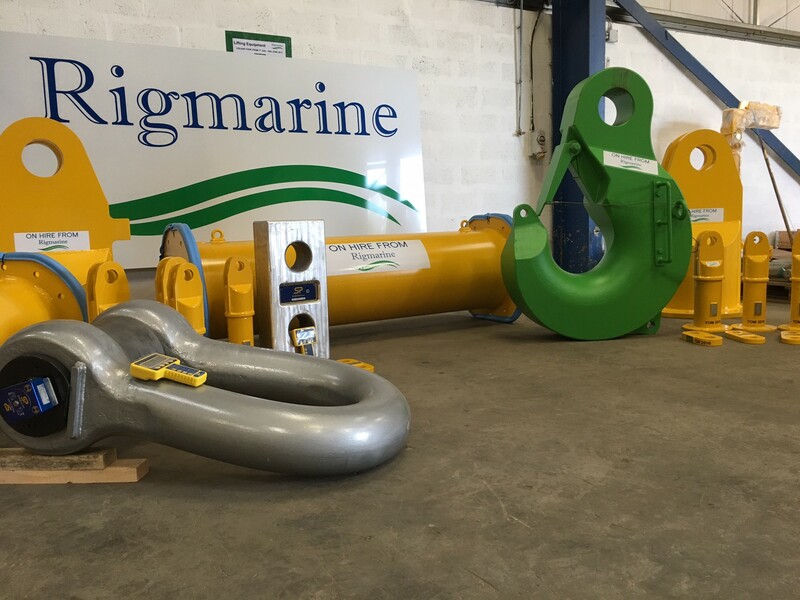 The strength of the Straightpoint and Rigmarine / Gaylin partnership has been built over a period of 14 years. Here are a number of load cell innovations amongst other below-the-hook equipment, including Modulift beams, that Rigmarine is proud to supply to customers. Twenty years ago I relocated to Azerbaijan, where Rigmarine now has a facility in Baku to the west of the Caspian Sea. The lifting and marine sector within the oil and gas industry had presented me with an opportunity to change my career (indeed, my life) forever. I did what people tend to do when such a door opens and consulted with my support network. Someone told me Azerbaijan was like Dubai and I was sold on it! Looking back, I’m glad I took the plunge, spending 16 years there, over which time I got married and two of my three boys (they are 18 months, four and seven) were born on the crossroads of Southwest Asia and Southeastern Europe. However, it’s not for everyone and, while I’d urge young people to go for it if an opportunity to relocate presents itself, it’s important to do the necessary research and weigh up the options. First of all, if there is an expectation that a way of life and home comforts can travel in the suitcase, think again. Setting up overseas tips everything upside down. I have met many unhappy people who have relocated. They typically think moving abroad hasn’t agreed with their psyche, but they should look closer to ‘home’ to find the root cause of the problem. It’s them. Relocation is change personified. A person has to learn to immerse themselves in the local culture and ways of life. Take the months of extreme heat in the emirates, for example. It gets people down not being able to go for a walk, but they forget what it’s like in Scotland during the winter months; nor is that the weather for a countryside ramble. The travel bug has certainly bitten me. Seeing what other cultures have to offer only whets the appetite to explore some more. When I get the opportunity, I spend time at a house I own in France where the local produce is heavenly. It makes me laugh when I see advertisements in the local French paper promoting the luxury of placing an online order for groceries on a Monday and having a man in a van deliver from the UK two days later! Here, it’s fresh and available on the doorstep—yes, even bread! That theme bounces me onto my final piece of guidance about expanding a business, particularly when doing so across the world. We recently opened Gaylin’s sixth hub in South Korea—others are in Singapore, Malaysia, Indonesia, Vietnam and China—which, inclusive of Rigmarine sites, was a landmark 10th in the group. As trade media also reported, Rigmarine just opened its fourth facility in the rural village of Insch, 30 miles to the northwest of Aberdeen, Scotland. I see some companies poorly plan their expansion strategies. Our success has been based on a clear vision to become a global force. A business can’t expand across the world and do so with an apologetic whimper. We have grown significantly over the past three years despite the industry downturn, underlining the focus and drive of our management team and our passion to become a rigging powerhouse. We’re clear about that. We remain in a phase of growth, but already cover a larger footprint and offer greater diversity of product than any other company of our kind. It’s important to choose locations carefully. A commonality of all our sites is a core customer base in offshore oil and gas, renewables, construction, break bulk, shipping and marine industries. However, we diversify when it makes sense; at Rigmarine’s Kazakhstan site, for example, we’ve highlighted synergies between inland and offshore industries to meet increasing demand from the mining and power industries. Everywhere, we build up a skilled workforce through accredited training programmes and third-party qualifications, whilst offering modern apprenticeship schemes to job seekers. At risk of repeating myself from my first point, supply networks are particularly important when targeting a new geography. Before we had any potential or existing customers in to visit us in Aberdeen, our suppliers travelled to see the site and discuss with us the products we will stock to position us to best serve the lifting applications prevalent in the market. We have a trusted blueprint that we’ll roll out for two further new facilities over the coming years (I can’t say too much more at this stage! ), whilst customising our offering to each region. Combining the two will be key to our success as it has been in the past. Thank you for reading my first blog, and thanks again to Mr. Loadlink for the opportunity.